There are various rumors that Apple will be launching a new version of iPod Touch this year which will be the 7th generation iPod Touch model. It is still not confirmed whether Apple will launch this model or not but if it does then it is likely to upgrade the rear camera, upgrade the processor, will be loaded with iOS 13 and few other new changes. 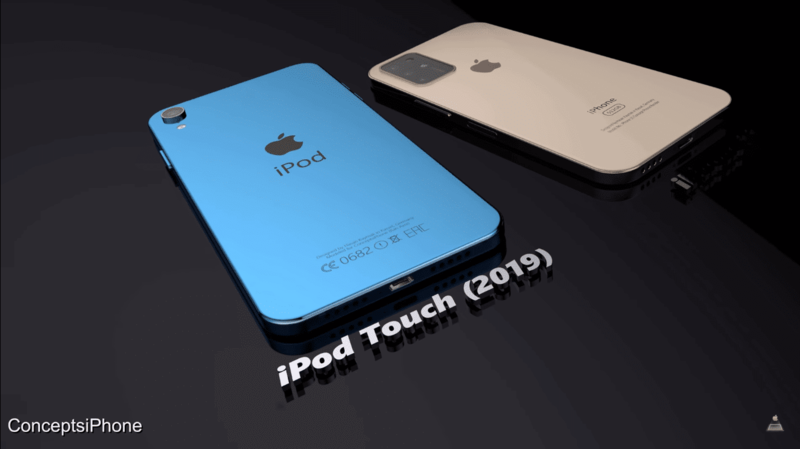 ConceptsiPhone published a video on Youtube showing what a new iPod Touch 7th generation could look like. The video shows a bigger 7-inch display with the smaller bezel on top, stereo speakers on the bottom and a USB C port. What do you think about this concept video?